Chantal Regalado-Gonzalez tasted Classic glory this year with Qualify in the G1 Oaks and trainer Joe Murphy has high hopes that first-crop Pour Moi filly Only Mine (2f Pour Moi-Truly Mine, by Rock Of Gibraltar) could prove the owner with another G1 star. The filly, bred by the late Marguerite Weld, captured a six-furlong maiden at Cork on Tuesday evening by a length and a half and now looks set to step up to Group company. 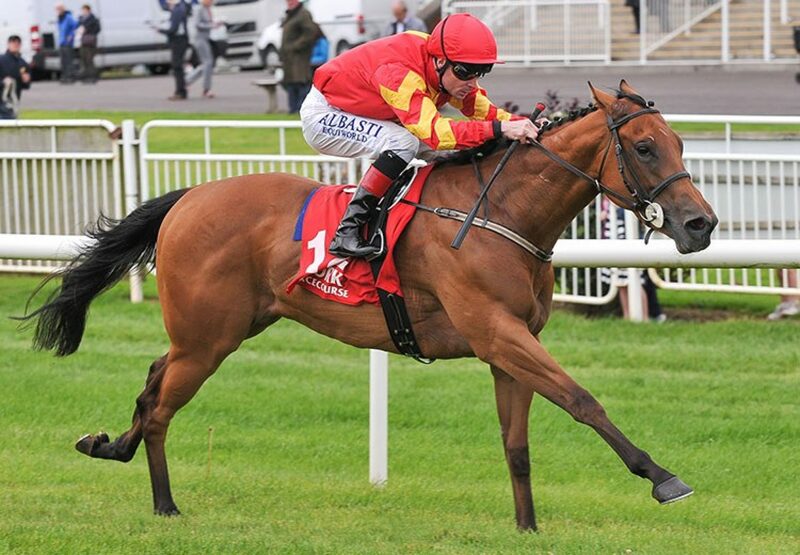 "There was fierce talk about Stack's runner (runner-up Diamond Fields) and I do believe it as I'd say she is very good, but this filly is exceptional,” Murphy told irishracing.com. “She cruised and did that very easily and I promise you she is very good. She'll run in the G2 Debutante Stakes, G1 Moyglare Stud Stakes and is also in the G1 Cheveley Park Stakes. There are exciting times ahead with her."